When I started working at business analytics leader SAS, I had no idea I’d be helping the Great Britain Rowing Team plot their way to Olympic glory. While I haven’t, yet, got in a boat and started rowing, I have started working with them on how they can make better use of their data through their new partnership with SAS UK & Ireland. We will be striving for marginal gains in performance that ultimately could be the difference between success and failure. It promises to be an exciting and hugely rewarding journey together! At the moment, we’re just setting off on the road to Rio for the next Olympic Games in 2016. 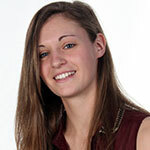 The team hope to emulate or even build on the stunning success they had at London 2012, where they topped the sport’s medal table with nine medals in total, including four golds. SAS UK & Ireland is also supporting the work of British Rowing, the sport’s national governing body, at grass roots level, and we’ll be working with them to make better use of data to boost membership and participation. We’ll be helping them get more young people interested in the sport, especially in areas not usually exposed to it, through its programmes in schools and use of indoor rowing facilities. We’re hoping the young people involved may go on to take part in junior championships or even make it all the way through to the GB Rowing Team. 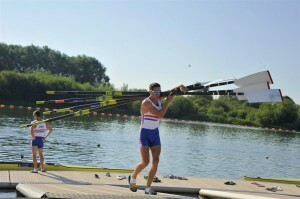 Data analytics can play a key role in better understanding of the organisation’s membership, as well as what to expect and look out for on the path from junior grassroots rower all the way up to Olympic champion. 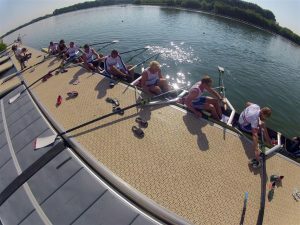 So far, I’ve been working with a small sample of GB men’s and women’s data taken from out on the water. I’ve also been looking at physiology data such as blood lactate levels, indoor rowing machine times, split times and any injuries/absences. We’re focusing on how data is currently recorded and making the necessary changes so it is quicker and easier to load into SAS. We've adopted a template approach so all the data is treated in a consistent way from collection through to when it’s ready for analysis. At the moment the data is held in hundreds of different spreadsheets and performance data, for example, will be stored separately from physiology data. It therefore takes time to bring all the data together when this is needed, analyse it and then make a decision. The process can take a few days, by which time things may have moved on. Using SAS all the data will be in one place, so answers can be generated straight away and shared across all the coaching teams and support staff. 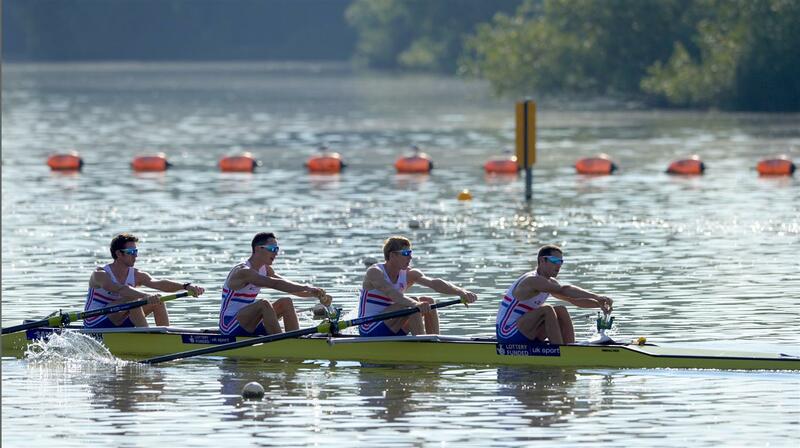 SAS® Visual Analytics has been set up in the cloud and the GB Rowing Team are already getting up to speed with how to play around with the data and understand the potential. Over time, we’d expect to start finding correlations between different data sets that have, to date, largely been analysed in isolation. The same procedure is being followed with the British Rowing data - to change the way it is recorded so it’s quick and easy to put into SAS. This largely comprises membership data held by a third party so the process should be a lot more straightforward as we’re dealing with a traditional database and less data variety. In addition, the aim is for data from junior rowers to be recorded in a consistent way, as a key focus is identification of young talent and the ability to pick out those rowers most likely to make it through to elite level via the junior and Under-23 sections. A more consistent and harmonious means of collecting and analysing data will deliver much greater insight as to what you would expect to see at various stages of development en route to becoming the world’s best. The prospect of helping turn dreams into reality is a great motivation for all concerned and I look forward to keeping you posted on developments! Learn how other teams are using analytics to succeed in the paper, Analytics in Sports: The New Science of Winning.